The book's cover graphically depicts Moore's Law. 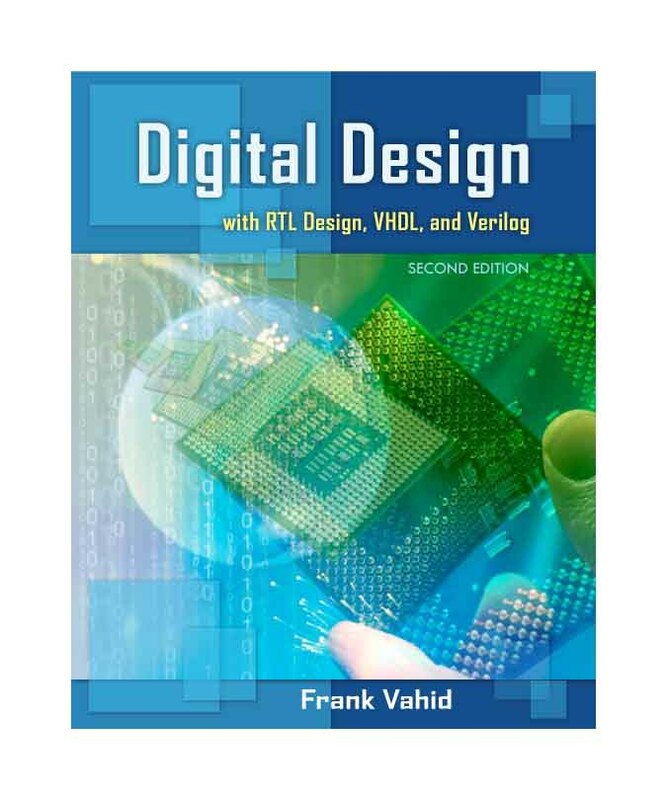 RTL Design: The only major digital design book to emphasize RTL (register-transfer-level) design, central to the million-gate IC era, while continuing to introduce topics fully bottom-up. Teaches modern "Capture/Convert" top-down design methodology for combinational, sequential, and RTL design. Superb examples/figures/text: Student-learning approach with hundreds of examples to motivate and demonstrate concepts, over 600 figures to illustrate ideas, and exceptionally lucid text resulting in highly-positive student and instructor feedback. Flexible HDL coverage: Hardware description languages in separate chapter to clearly distinguish basic design concepts from present-day implementation mechanisms; HDL sections/examples correspond with earlier chapters to enable integrated coverage. Inclusion of VHDL, Verilog, and even SystemC provides instructor flexibility while also showing essential HDL similarities. Optional low-cost 180-page VHDL and Verilog accompanying books support in-depth coverage. Exceptional PowerPoint slides: Over 600 author-created slides serve as a serious and useful teaching aid, with extensive use of graphics and animations for illustration. Nearly all book examples and figures included. Design vs. optimization: First digital design book to provide modern distinction between basic design and optimization, as well as tradeoffs. Optimizations/tradeoffs in a separate chapter, sections correspond to earlier chapters. FPGAs: The clearest section found anywhere on how FPGAs implement circuits as bitstreams. New in second edition: Improved RTL introduction, clearer definition of capture/convert process, and improved description/examples/exercises throughout. Sample animated slides -- Instructor's website contains complete PowerPoint slides, about 700 slides in all, nearly all book figures included, almost all slides have graphics, with animations extensively and appropriately used to illustrate key concepts, and with care taken to ensure animated slides are still readable when printed. An assembler and instruction-set simulator for the 6-instruction processor introduced in the book, available HERE as a Java applet for ease of use and visualization. A great aid for teaching and learning how programmable processors work. Go to the Book's site at Wiley for information on ordering desk copies, and for more book information. To contact the author directly, send email to: vahid AT cs.ucr.edu. Comments/suggestions are highly valued.